This is by far my favorite climbing rose to date. Produces tiny clusters of blooms is very disease resistant and is just plain beautiful. 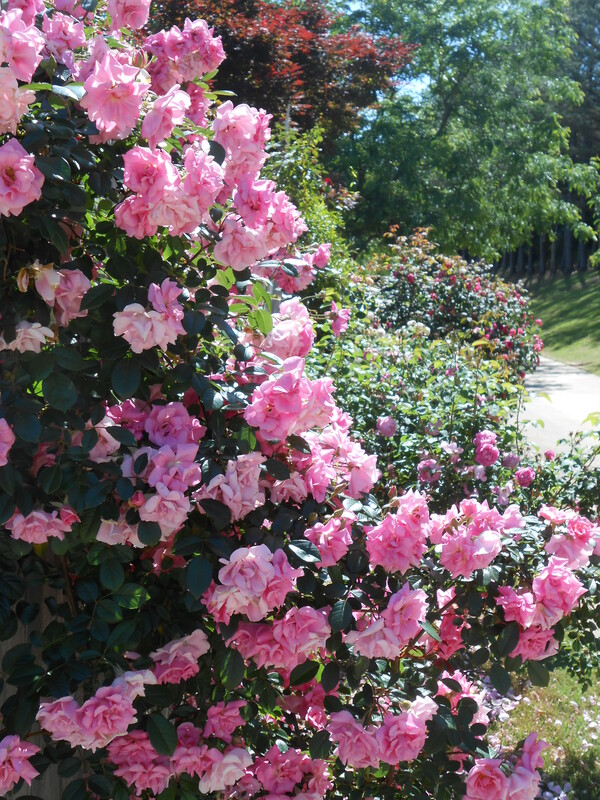 It was designated as an Earth Kind rose by the Ag program at Texas A & M University. You can listen to my interview with Dr. Steve George on Rose Chat Radio by clicking on the link. This entry was posted in #roses, Alabama, Climbing Pinkie, National Rose Month and tagged Agrilife, climate, Climbing Pinkie, Dr. Steve George, Earth Kind Roses, garden, garden shots, gardening, grow beautiful roses, National Rose Month, nature, Photography, Pink, plants, Polyantha, roses, Texas A & M. Bookmark the permalink. I can’t wait until my Climbing Pinkie gets that big!! The leaves are so tender and lovely. Can’t wait to see yours in bloom! oh, this one is gorgeous too! I always enjoy your sharing your roses and knowledge. My roses were gorgeous this year but now it’s raining-practically unheard of here-and my roses are not so happy. mildew is just around the corner!